Gladys Wheeler Kilpatrick McLendon of Benton, Mississippi, passed away on February 3, 2019 at the Madison County Nursing Care Center. Gladys was born November 29,1930 to Sallie Mae and Ovid Wheeler in Catchings, Mississippi. She was preceded in death by her parents, her husband and father of her children, Kenneth Kilpatrick, her husband , James McLendon and her brother Billy F. Wheeler. Gladys is survived by her daughter, Lynn (Jimmy) Pierce of Pearl Mississippi, sons, Mike (Paulette) Kilpatrick of Yazoo City, Mississippi, Jerry (Brenda) Kilpatrick of Columbia, Mississippi, and Talmadge (Shelia) Kilpatrick, of Benton, Mississippi, 9 grandchildren, 19 great-grandchildren and 3 great-great grandchildren. She is also survived by her sisters, Mary Jo Norwood, of Cleveland, Mississippi and Ann McFerrin of Charleston, Mississippi, her brothers, Kelton Wheeler, Mount Airy, Maryland and Bob Wheeler, Hernando, Mississippi. She and Kenneth raised their children in Belzoni and she lived there until 2006 when she moved to Benton to be closer to her family. She loved her family ad her family loved her. She will be greatly missed by them tremendously. One of her favorite things to do was to support her children and grandchildren when they were playing sports, and traveled near and far to cheer them on from the sidelines. 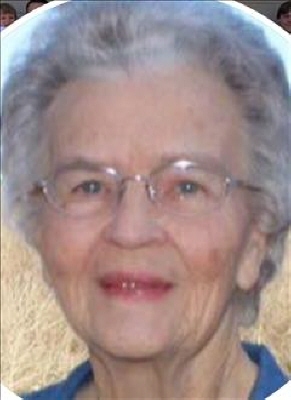 She was a faithful member of Gooden Lake Baptist Church for many years, where she was a member of the choir, along with several singing groups. He also taught Sunday school for many years. She worked at Jockey International in Belzoni for 36 years before retiring in 1993. Services will be held at Gooden Lake Baptist Church, Belzoni. Mississippi. Visitation will be, Tuesday, February 5, 2019, at 12:30 PM followed by the service at 2 PM. Interment will be at Greencreast Gardens in Belzoni. Mortimer Funeral Home has been entrusted with the arrangements. You may view obituary and leave your condolences at www.mortimerfh.com. To plant a tree in memory of Gladys Kilpatrick McLendon, please visit our Tribute Store. "Email Address" would like to share the life celebration of Gladys Kilpatrick McLendon. Click on the "link" to go to share a favorite memory or leave a condolence message for the family.